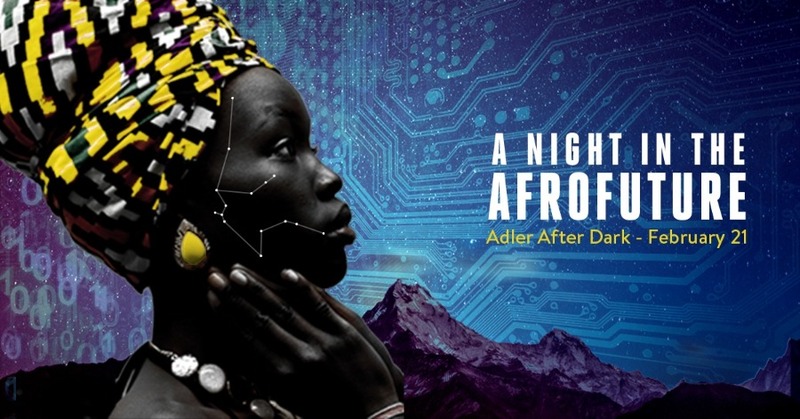 At this month’s Adler After Dark, we’ll be exploring the world of Afrofuturism. What’s Afrofuturism? Great question! We asked leading Afrofuturism expert and Adler After Dark: A Night in the Afrofuture partner, Ytasha Womack, to fill us in! Afrofuturism has become quite the hot topic. Whether your interest was piqued by the lore of the film Black Panther or the mythos of Janelle Monae’s cyborg alter ego, the world of Afrofuturism is ripe for a deep dive which spans science, art, African and African Diasporic cosmologies and more. I wrote the book Afrofuturism: The World of Black Sci Fi & Fantasy Culture in part because I grew up with people who were excited about space, science, mysticism, and art as the ultimate mash up. We clung to information whether it was a rap lyric, a new comic we discovered, a black scientist whose work we uncovered (Lewis Latimer, anyone? ), Martian water speculations or news from an archeological dig in Ethiopia—all on a scavenger hunt to figure out how we fit into the universe. Some were artists, many were history buffs, others just loved science but we were enthusiastic about exploring futures that valued humanity and uncovering hidden histories of cultures of color that shaped today’s technology and philosophical thought. Were there ideas from the past that could create a better future now? What can we do now to transform our future? How can art today make a difference tomorrow? I had friends who wracked their brains around these ideas as a past time. Today they can proudly claim to be Afrofuturists. Personally, I’m most excited about Afrofuturism’s ability to inspire people to value the realm of the imagination to create inspired visions of the future. All of our technologies and systems were once ideas in someone’s head. Literally, someone thought ‘I wonder what would happen if…’ and now I’m downloading their app, exercising in their sweat resistant clothes, or buying a ticket on their shuttle to Mars. (Well, almost.) This ability to imagine, when encouraged, is empowering. Although the term is new for many (the word was coined in the 90s), the idea that people of the African descent and the African Diaspora have contemplated ideas around the future is not. I like to say that Afrofuturism is a way of looking at the future or alternate realities through a black cultural lens. Formally, Afrofuturism is an epistemology, artistic aesthetic, a basis for critical race theory, and method for self-healing. It intersects black culture, the imagination, liberation, technology, and mysticism. How does Afrofuturism differ from other takes on the future? For one, Afrofuturism does not view time as linear. Time, in the world of Afrofuturism, is cyclical, can move in all directions and often treats the past, present, and future as one experience dictated by one’s point of awareness. Afrofuturism also values the divine feminine. Many esoteric traditions view the feminine aspect of humanity as the realm of intuition. In this sense, intuition is as important as logic. Both are worthy portals for information and decision making. However, Afrofuturism is especially exciting to feminists because many leading creators and theorists are women. Afrofuturism also engages mysticism. Any number of Afrofuturist works may reference African or African Diasporic spiritual traditions or cosmologies from Regla de Ocha or Santeria in Cuba to hoodoo in the American South to the deities of Ancient Egypt. From New Thought philosophy to Dogon stories of origin, wisdom traditions are often viewed as technologies as a flipside to science. Afrofuturism also acknowledges that race is a technology. Race, or the idea of categorizing people by color, was created to justify the transatlantic Slave Trade initially and enforced through law and violence. Although societies have fought the power imbalances and inequities, as a society we’re very much socialized to see ourselves in these boxes. These boxes can create limitations on expression and possibility. What must I know about Afrofuturism? 1. Know that people of the African Continent and Diaspora have always contributed to ideas and technologies that engaged and shaped the future. 2. Know that being encouraged to use one’s imagination to explore ways to create healthier futures for everyone is incredibly liberating and creates agency. 3. You have to have a musical ear for George Clinton and Sun Ra. At the very least you know what the Mothership is. Their musical journeys among countless others are essential for your inner/outer space travels. Meet Ytasha and explore Afrofuturism for yourself at Adler After Dark: A Night in the Afrofuture! Ytasha L. Womack is a critically acclaimed author, filmmaker, dancer, independent scholar, and champion of humanity and the imagination. 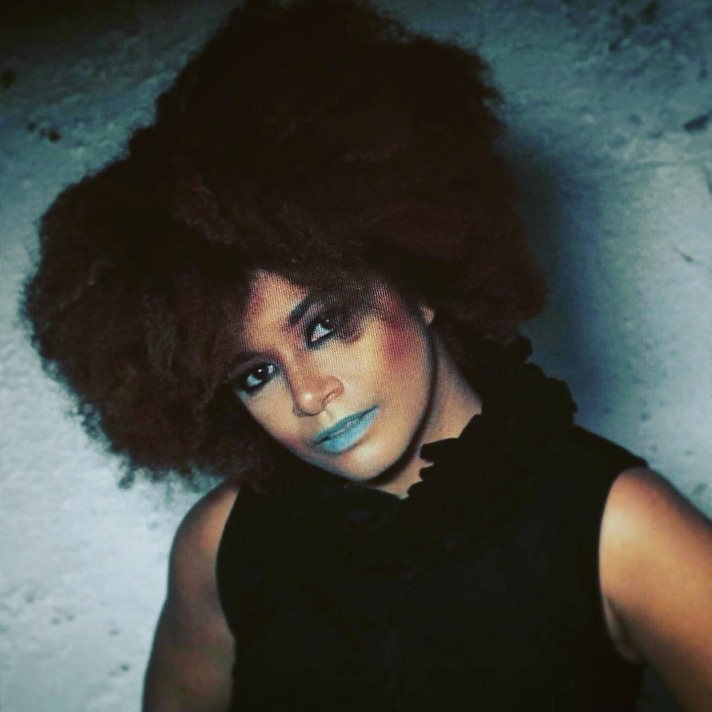 Her book Afrofuturism: The World of Black Sci Fi & Fantasy Culture is one of the leading primers on the subject and is a Locus Awards Nonfiction Finalist.Ytasha is a writer in residence at Emerson College in Boston. A Chicago native and resident, she loves house music, tea, and collecting Cuban music on vinyl.You can find her at www.raylauniverse.com and on Twitter @ytashawomack. Need some Space in your inbox? Subscribe to our newsletter to be the first to receive the latest news on Adler programs, events, and happenings.